Yesterday, I mentioned the idea of celebrating feast days within the home. When hearing this idea for the first time, perhaps it sounds daunting. Especially for overwhelmed moms (like myself, ahem! ), celebrating feast days could just seem like one more thing to do. But perhaps I can assure you that celebrating feast days can be super simple and completely organic in nature. Meaning, there are no rules to celebrating feast days within the domestic church. As long as a feast day is celebrated with reverence, love and joy, it can be simple, elaborate or something in between. The following ideas are revised from a post I wrote back in September 2009. I hope they are a helpful addition to my 31 Days With Mary series and a suitable fit for the #WorthRevisit linkup. 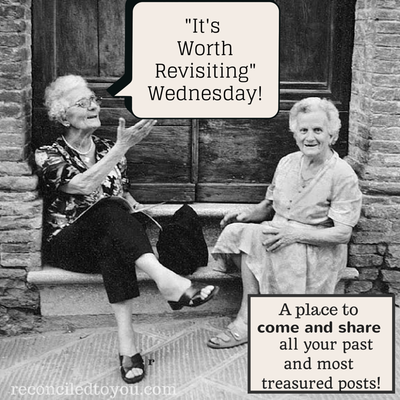 I first discovered the idea of Liturgical Teas when I started reading blogs written by Catholic moms, in the early part of 2009. I didn’t grow up celebrating feast days, so I had never heard of the idea until six years ago. But I instantly loved the concept! I was awe-struck by how many Catholic moms were so faithful to making the Catholic faith come alive for their children, and I wanted to do the same for mine. I did not do anything about this new-found concept for several months. First, I simply acknowledged more of the feast days the Church gives us to celebrate as a way of growing closer to the Lord. Feast days honor Jesus’ mother, who prays unceasingly for her children; they honor the saints, who we are called to imitate for they were very ordinary, normal folks who also led very holy and amazing lives; and they honor the angels who protect and defend us. These days always turn our attention to God, Our Father and His Son Jesus through the Holy Spirit, and so of course they are cause for celebration! 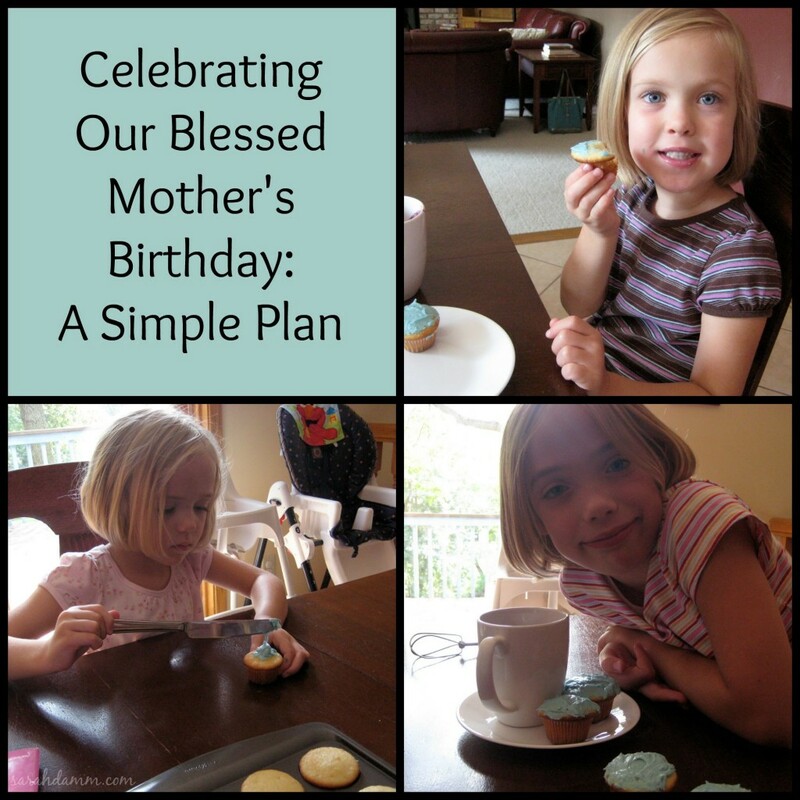 I started incorporating feast days into our family life by making a plan to celebrate and honor the feast days of the patron saints after whom we were named. This was a simple plan that included preparing a special dinner or dessert. I slowly added to our celebration with coloring pages, short stories about the life of the saint, and praying a special prayer from daily Mass or liturgy of the hours. As we became comfortable with this routine, I added a few Marian feast days to our rotation, and whenever it was clear that a certain saint had become a family favorite, we added him or her, too. As I discovered more ideas through various blogs, I had to recognize and appreciate the fact that women have different gifts. You see, some of the feast day plans I came across were quite elaborate, but rather than feeling pressure to celebrate a feast day in a certain way, I drew inspiration from the beauty that I encountered … and then modified ideas to meet my family’s needs. As my family became more aware of the awesome, rich liturgical life we can live-out in our home, we wanted to continue adding more and more simple, yet beautiful, celebrations into our family life. We ended up modifying this schedule to fit our needs. I found it to be very helpful to write the days on the calendar, just like birthdays, and follow a plan in order to be intentional about incorporating feast days into our family life. As an example, here is a link to the plan I used to celebrate the Nativity of the Blessed Virgin Mary. Since I first posted about my liturgical tea plans, my family has changed quite a bit. We have added another child to the mix, and as my children grow, our schedule has gotten more hectic. We have streamlined our feast day celebrations and returned to honoring our patron saints—St. Anne, the Blessed Mother, St. Lucy, St. Luke, St. Veronica, St. Joseph, St. Gregory and St. Catherine of Siena—with dessert, a story and special prayers. On favorite saint days, such as the feast of St. Ignatius of Loyola and St. Therese of Liseux, we usually add special prayers to our day. And on other feast days, we ask for the saint’s intercession, as we conclude our morning prayers. Most recently, I was asked to share something that our family does to reflect our Catholic faith at home, for an article in our local Catholic newspaper. And in 100 words, I shared about our feast day celebrations. You can read the entire article, because there are many good ideas listed, HERE. How do you incorporate feast days into your family life? For more #WorthRevisit posts, visit Reconciled to You and Theology is a Verb.